One of our favourite restaurants in Sydney is Porteno, an Argentinian restaurant that’s a meat lovers paradise. Pork, lamb, beef and chicken are cooked on huge spits at the front of the restaurant, you can imagine how amazing that dining room smells! 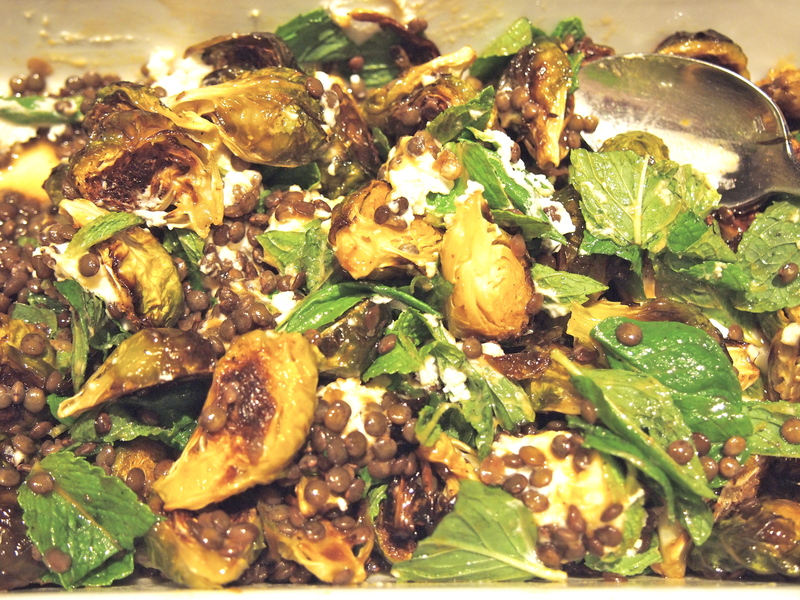 Funnily enough whenever we go there it’s not the meat that I look forward to the most, it’s this side dish of crispy brussel sprouts with lentils. They are just the most incredible tasting sprouts I’ve ever had and are consumed way before the meat has even had a look in, something that’s pretty unusual for us. I did some research on the web to try and track down the recipe and came up with the version below from Gourmet Traveller. I made some changes though; I didn’t deep fry the sprouts but oven roasted them, which I prefer. I also added some goats curd at the end as I definitely remember the sprouts at the restaurant having a somewhat creamy finish to them. They turned out very close to the original and even if you’re not a fan of brussel sprouts, give these a go and you’ll be converted! Preheat oven to 180C. 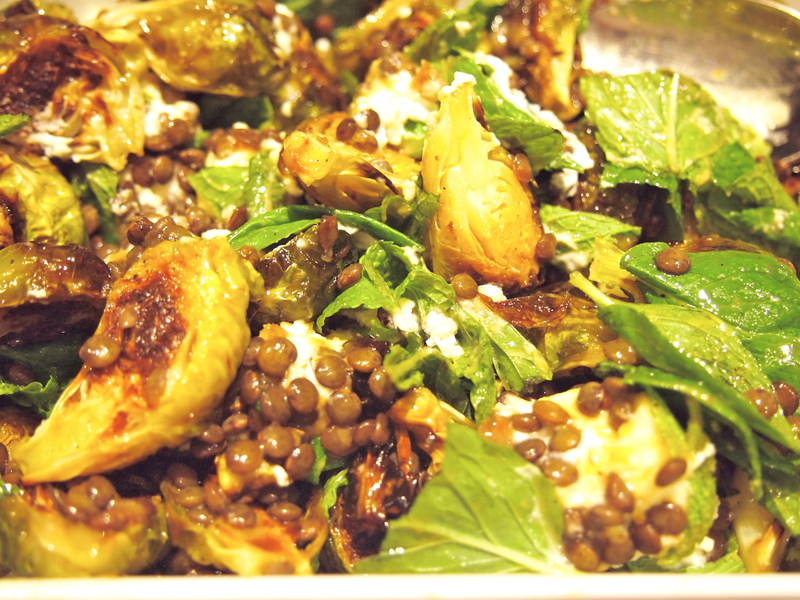 Place the sprouts on a baking sheet and drizzle with olive oil, salt and pepper. 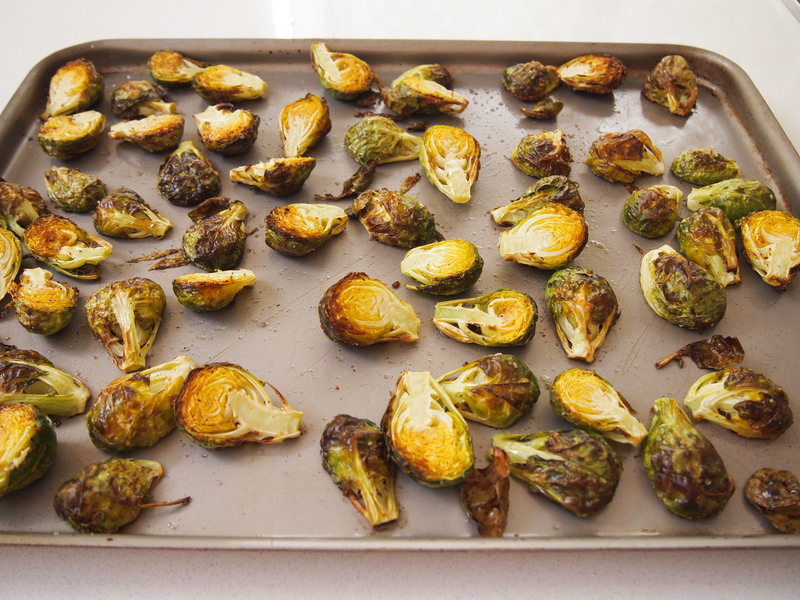 Place in the oven and roast for 20 – 25 minutes until the sprouts are tender and golden brown with the outer edges crispy. Put the lentils in a saucepan with enough cold water to cover generously, bring to the boil and cook until just tender (15-20 minutes), then drain and set aside. For vincotto dressing, whisk ingredients in a bowl to combine, season to taste, set aside. 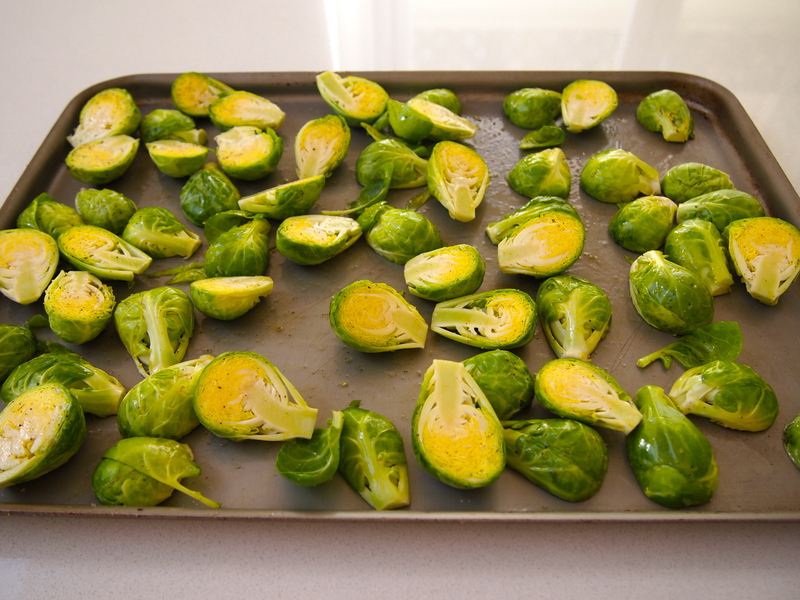 When the sprouts are cooked remove them from the oven and place on a warmed platter. Add lentils, mint, vincotto dressing and crumble in the goats curd, toss to coat and serve hot.